If I may begin with the last first, Michael Collins entertained us with his tale of the positive consequences of taking bold action as a young recruit in the Navy. In terms of aiming high, he went right to the top… of one of the most prestigious hotels in Hong Kong. What happened next is the stuff of legend! Inspiration came from Ian Skinner and Andy Taylor-Whyte. Ian shared about how he was inspired by the women in his life – especially the strength of his Mother, Nora – giving him high aspirations to be like her. 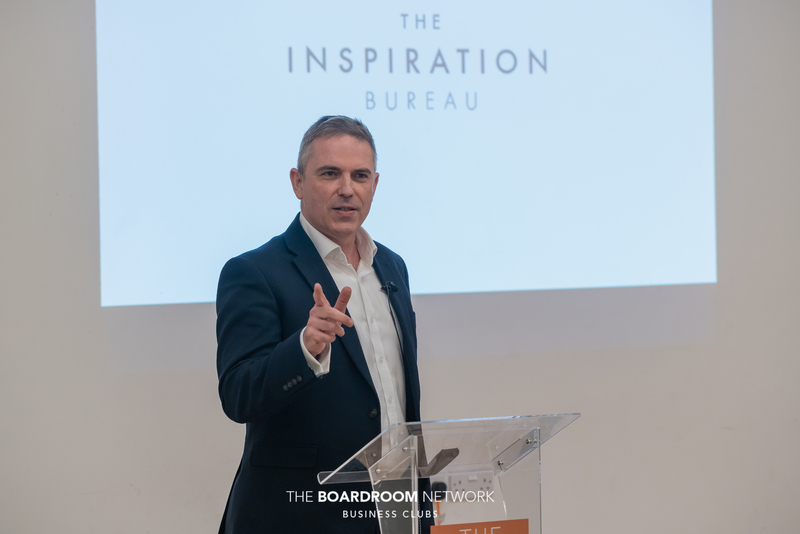 Andy gave us a taste of the CODE – his system to help transform you and me into inspirational speakers – a sure path to the high life as authorities in our own subject areas. Motivation was the subject of my interactive spot where we aimed to put intrinsically motivated activities on our timeline over the next season of 90 days to keep our motivation high and to transform good intentions into actions. Ian began with a piece of music that has inspired him for years, “That Happy Feeling,” associated with one of the most influential figures in Ian’s life. Music can inspire, as can acts of kindness, acts of courage, a painting, overcoming adversity against overwhelming odds. Most of us, however, are inspired by people. Ian’s key message was how we should promote and elevate women in business – because strong women have been such a key influence in his life. One of eleven children, seven of whom were sisters, Ian proudly listed their professional achievements. He made the key point that being a strong protector and provider is not the sole domain of the male of the species – consider Nature’s examples like the Lioness. Ian’s greatest inspirer didn’t have a single qualification until she was 50 years of age. Her career in the care industry led to her becoming the Officer-in-Charge of a Care Home that looked after children and adults with mental disabilities. Her distrust of those in authority and willingness to challenge them clearly has influenced Ian’s own strength of character. An example is the way that Ian will call out anyone who speaks down to or speaks over women in his company. Nora was the fiercest, kindest, hardest working person Ian has ever known… even standing up to skinheads on the rampage! What was Ian’s call to action? It was to revere and elevate women in business, enabling more women to get their fair share of opportunities to lead our key companies. This is about access to the same opportunities, not about special treatment. From Prime Ministers to those who work in our military and emergency services, strong women play key roles. Let’s respect and honour them for the roles they play. Let me close this section with Ian’s exact words. “Can I ask you to turn to the person on your left, and, if you feel comfortable, tell them one thing that you fear…” so began Andy’s introduction to the CODE. Fears included spiders, failure, speaking in public, and depression. From sharing in our round-table networking, to standing up at the front, presenting our message is most often nerve-wracking. We want people to be delighted by what we say, and we fear that they will actually fall asleep or say, “Oh shut up and get on with it!” Facing this fear, and working with it, can transform the impact of our communications and message. 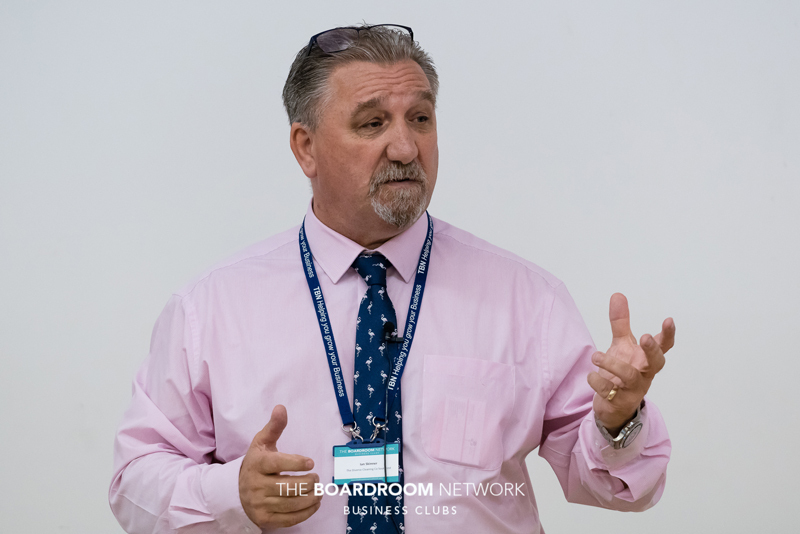 From Andy’s experience in the Navy (16 years), and from his work in different charities and companies, he has observed how they put their key messages together for presentation to varied audiences. This has led to the creation of Andy’s programme, The CODE – Communication, Observation, Delivery, and Execution. The CODE takes participants through the simple steps to get all these aspects right – promoting your message in the best possible light. If only a fraction of communication is the words we use, perhaps we should be paying less attention to our PowerPoint preparation, and more to the tone and body language used ‘live’ during our message. 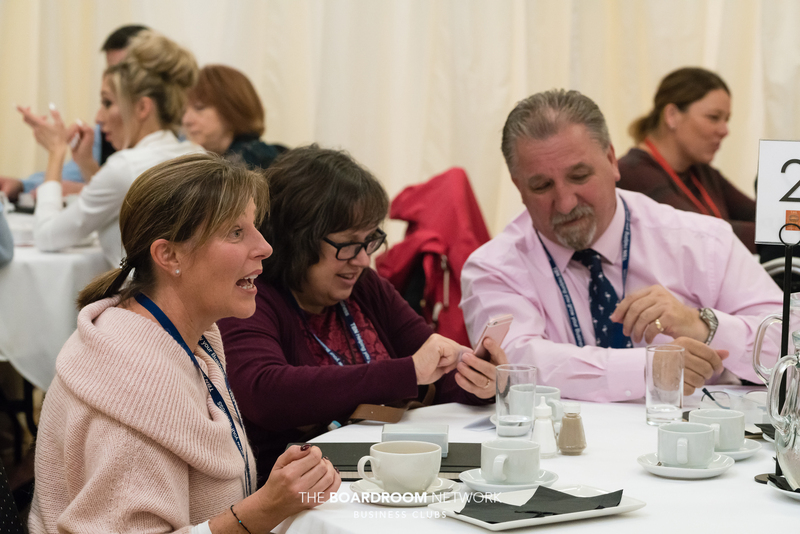 People resonate with personal stories – as indeed we experienced with Ian and Michael’s presentations – broadcasting their personality types. Personality and passion are keys to the successful application of The CODE. Andy mentioned four personality styles: Activists, Reflectors, Pragmatists, and Theorists – all of whom will be in the audience. 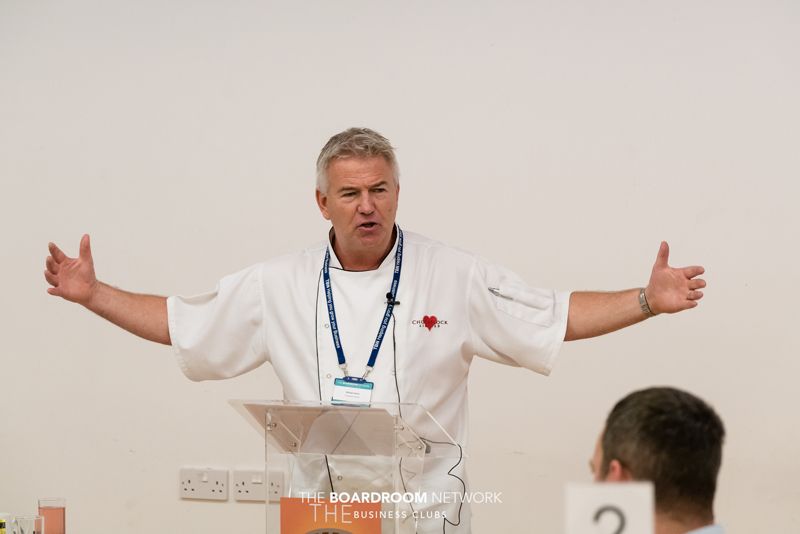 People need facts AND emotion AND stories AND inspiration – in each and every presentation we make – triggering engagement from each and every group. The greatest satisfaction in business and in life comes not from financial or status recognition but from those activities we would engage in if time and money were not an issue. I want to thank all of you who popped so many wonderful examples of these into the little buckets on the table – which I’ll come to in a minute. You’re going to love them! The buckets were inspired by my niece who challenged the long-termism of the famous Bucket-List concept. Katie suggested we should have little bucket-lists, ones we could commit to in each season of 90 days. Since Daniel Pink’s book is called, “Drive,” I figured we would all do ourselves an enormous favour by fuelling this drive with non-financial rewards in each quarter. Daniel calls these motivators part of Motivation 3.0. 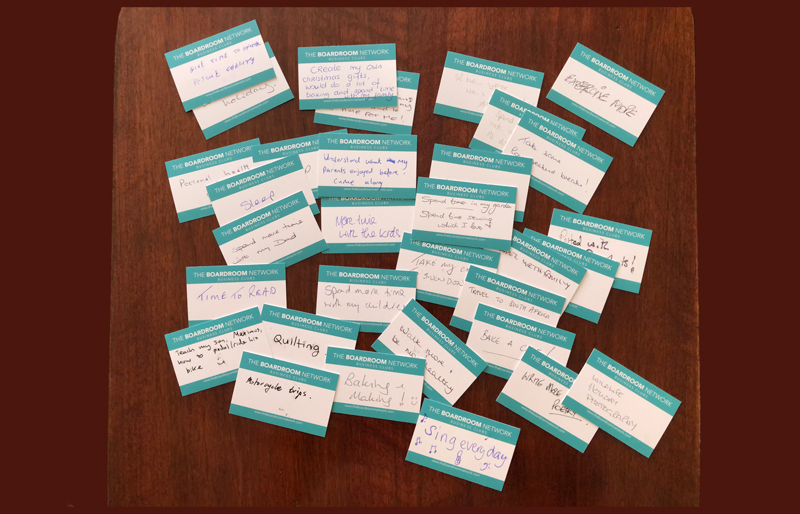 It was a pleasure for me just to read and record these for this blog – but there was a higher aim behind my encouragement to write these down and share them. Kurt Lewin, a psychologist, did fascinating research into what encourages us to take action. He discovered that sharing our goals publicly (as we just have) leads to a 10x increased likelihood of taking action! It’s going to be a great Winter/Spring it seems! When you take the swashbuckling bravado and blustering confidence of youth and mix it with an encounter with a somewhat eccentric pilot from Air New Zealand, then set this in the exotic context of one of the finest hotels in Hong Kong, memorable stories will emerge. I will, of course, post the video later on our YouTube channel, but suffice to say, once you’ve heard the story, anyone called, “Lionel,” will never be perceived in the same way again, and you may think twice about your relationships with doughnuts! Michael’s message is that stories engage, that opportunities must be seized, and that boldness pays off. Let’s boldy go wherever the fair winds of opportunity take us! Thank you to all of you – with specific shout-outs to Jacqui, Jay, and our table-ambassadors – for such a memorable and engaging event. Let’s AIM high, and enjoy the coming weeks like never before! Here’s to Action, Inspiration, and to Motivation!